The crush, the whole team had it from the first day of the creation of NEREUS. The crush, our customers & partners convinced by our missions, our DNA and our innovative technologies had it. 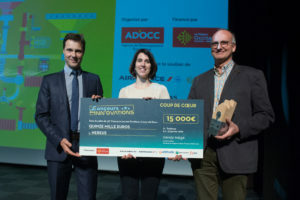 And we are proud to announce we are the Winner “Coup de Coeur” of the contest Les Inn’Ovations 2019.